∙ Appointed for career service to France, 1991. · Departed for France in 1993. · Reassigned to French-speaking Belgium, 2001.
. Returned to France in 2007. 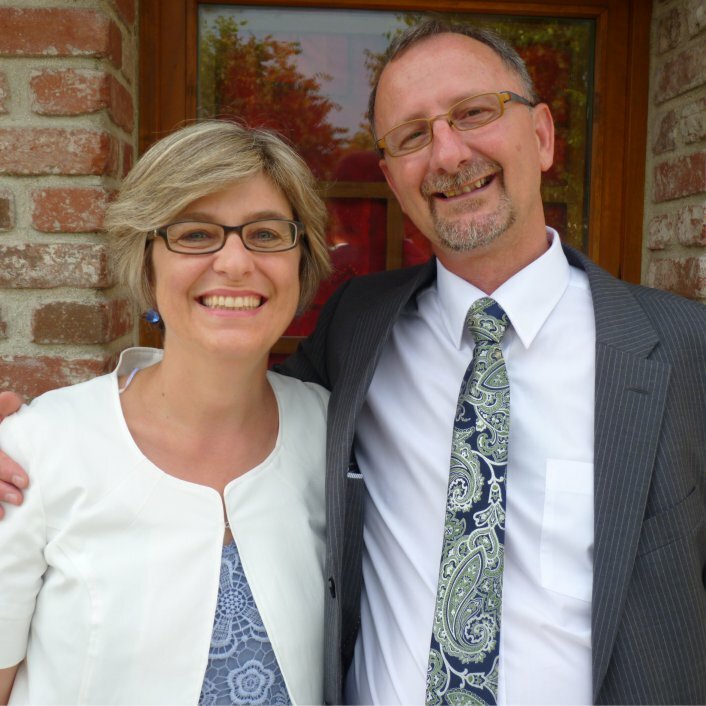 The Bolducs are in a church planting ministry with a goal of reaching the affluent multicultural population in the Val d'Europe region which is home to EuroDisney. The Val d'Europe church is part of a network of a handful of churches. Pierre is a gifted evangelist and serves in that capacity within the network of churches. Twice a week he meets with people in Chelles and Val d'Europe and shares the Gospel with the many people he encounters at the RER train station and at the market. He often takes believers from the church with him to integrate them into this ministry. In addition to organizing the mid-week Bible study house groups, Pierre also preaches.